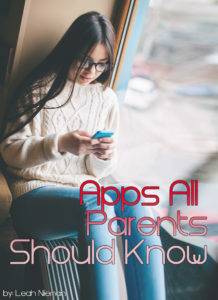 Welcome to Day 1 of the 12 Social Media Apps All Parents Should Know Series. This week we’re going to talk about 12 social media apps popular with teens. I’ll introduce 3 social media platforms each day this week. On Friday, I’ll wrap up the week by posting all 12 social media apps for you. My hope is we’ll end the week as parents who are a bit more informed. Great info for parents of teens. Looking forward to the rest of the series. I’m sure I’ll learn a lot!